AuttyW: Howl O Scream Other Information! 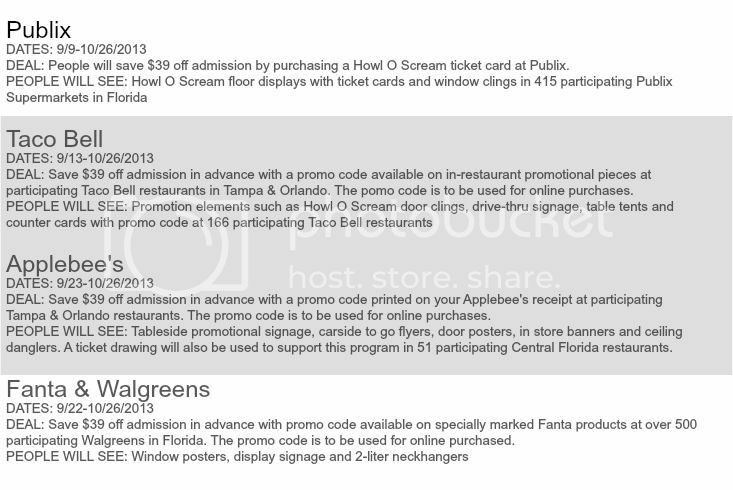 Howl O Scream Other Information! This is basically going to be more of an informational post. There aren't many pictures honestly. Montu, SheiKra, Cheetah Hunt, Kumba and Gwazi are the roller coasters that will be open. No discounts, card must be punched at time of admission to house. Front line access is void after all 7 redemption spots have been punched. Front of the line access to 7 haunted houses of your choice (this means you can either go into one house twice and wait in line at another house or get front of the line access to all 7) and front of the line access to each of the 5 major roller coasters (Cheetah Hunt, SheiKra, Kumba, Montu and Gwazi) You also get 20% off in all gift shops, BOGO at all Ride and Fear Photo locations and unlimited BOGO and Timbuktu games. Each tour comes with complimentary drinks at Check-In and at various locations throughout the park. 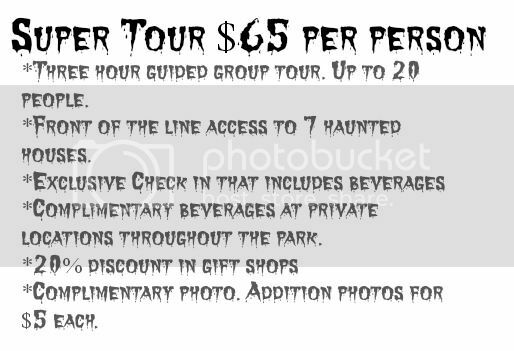 Each tour also gets you a guide and front-of-the-line access at each of the haunted houses. 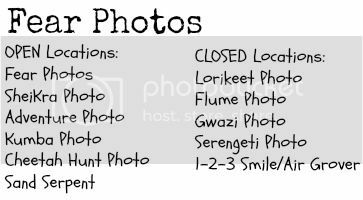 Each tour has specific perks so when booking please read carefully. This will only be basic information about all 3. Capacity Up to 20 people per guide. When booking for the tour please also remember that you are going to be bundling your admission ticket and the price of the tour. The combined price will be posted next to each tour. 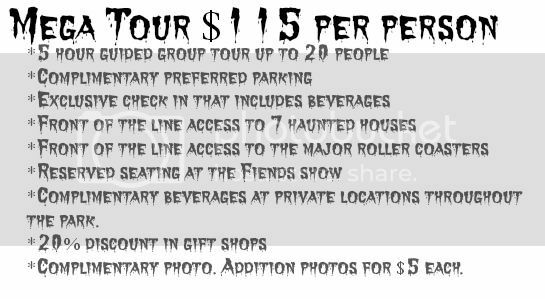 The additional information for the tours will be provided when you book your tour. 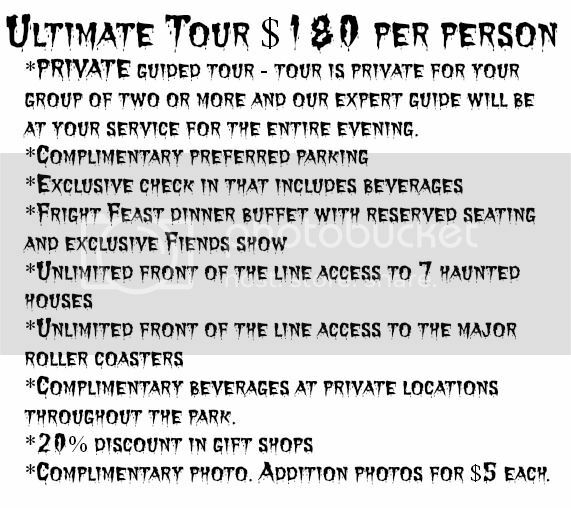 Howl O Scream is a separate paying event. You need to purchase a HOS ticket to attend. Depending on the type of pass you have, you can get discounts. To purchase tickets go HERE. You can also purchase tickets AT Busch Gardens, but it is easier to pre-purchase them otherwise you will be waiting in lines forever. AAA members can purchase HOS tickets from participating Auto Club South locations or website. 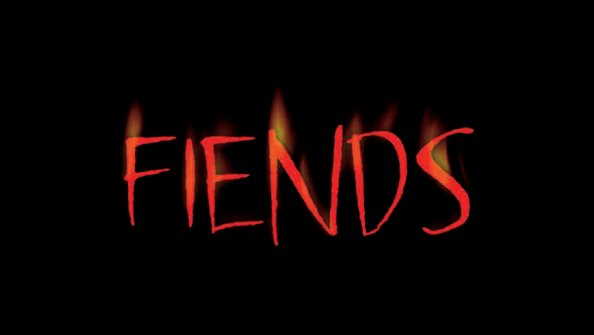 Check out the other two posts associated with this series. The 13 & The Scares!